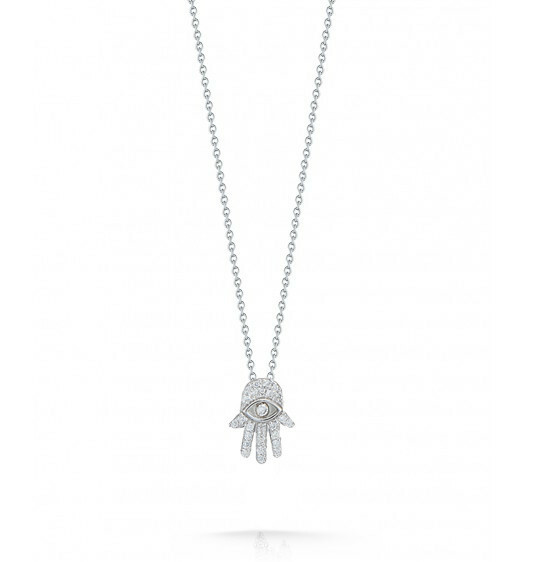 This mini Hand of Fatima necklace is from the Tiny Treasures collection by Roberto Coin. 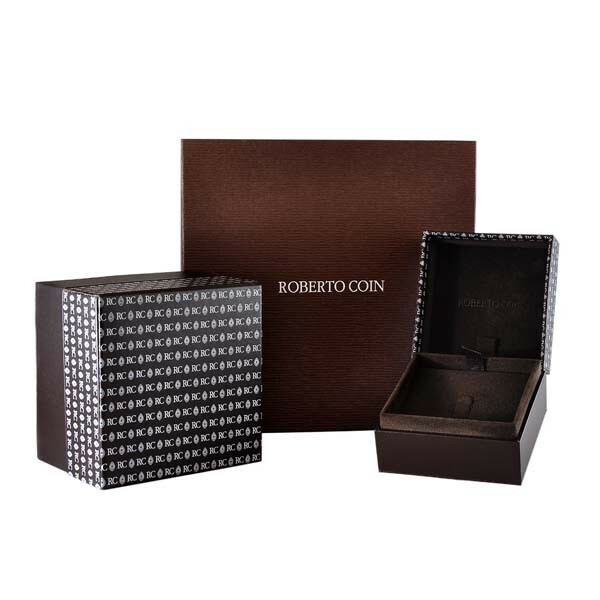 It features brilliant pave diamonds in a remarkable white gold setting and dangles from an adjustable chain. 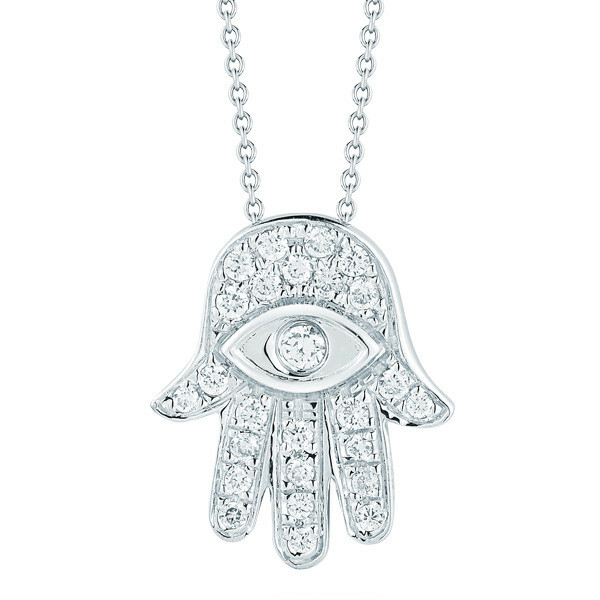 Roberto Coin takes the Hamsa, a universal sign of protection, to a new level of beauty!